Make family game time enchanting! 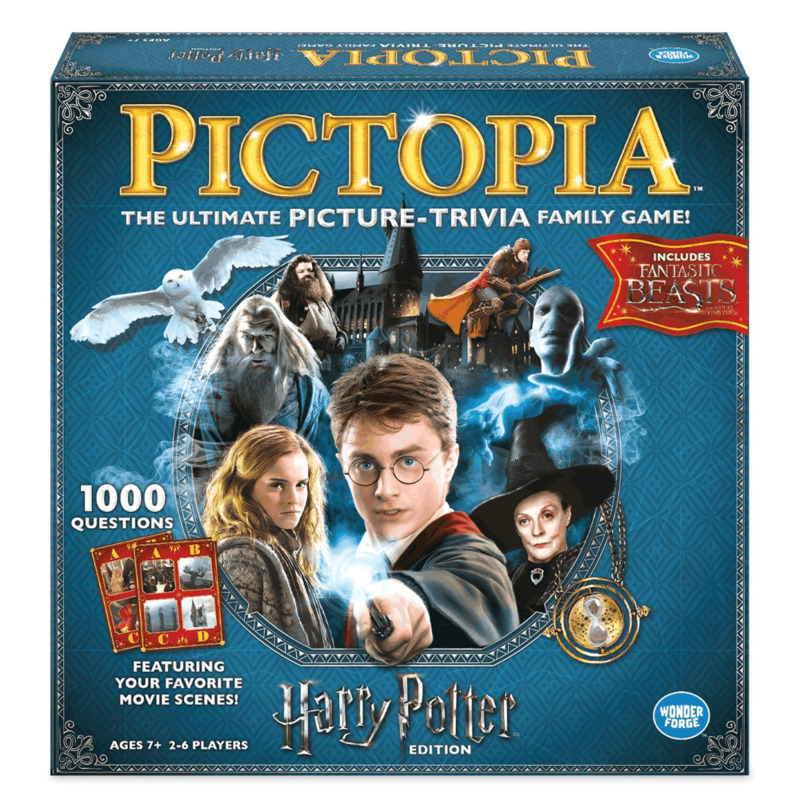 In this game you will encounter 1,000 picture trivia questions that will transport you to J.K. Rowling’s Wizarding World with some of the beloved characters and magical creatures, revisiting magnificent locations, and marveling at enchanted objects from the epic Harry Potter movies! This is a game for family, friends and all Harry Potter fans its a 2-6 player game and team work is key.